Josephine with her family & 18 year old daughter who is also studying at INTI. This Mother’s Day, we spoke to a few inspiring mothers on their passion for lifelong learning, work-life balance and their families. “I graduated from the Australia College of Applied Psychology with a Degree in Applied Social Science majoring in Counselling. I embarked on a part-time learning journey at the age of 37, completing my Specialist Diploma in Applied Psychology, then moving on to a Degree and Professional Certification in Human Resources. 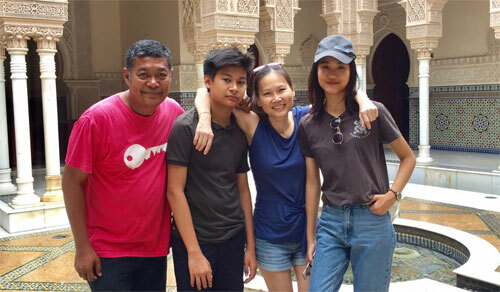 Married and blessed with two children aged 18 and 15 years old, I am so fortunate to have the full support and understanding of my family and kids while pursuing my part-time studies, and now I even have my daughter studying in the same college with me.” Ms Josephine Chin, Human Resources Manager, Rohde & Schwarz Malaysia. 1. Why did you decide to enrol in an MBA and why now when you are already a full time working mum (FTWM)? I decided to enrol in an MBA due to my passion for lifelong learning, as well as to build up my networking skills, satisfy my intellectual curiosity and enhance my personal and professional growth. I also wanted to inspire my kids. 2.	Who encouraged you to pursue your MBA? And why did you choose INTI? My inner voice. I have a strong passion for lifelong learning and intellectually curious – these traits encouraged me to pursue my MBA. Why INTI? Because of the location, affordable fees plus its collaboration with a reputable UK University. 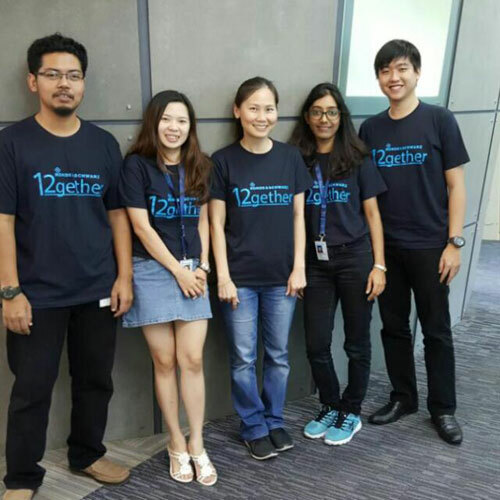 Josephine (middle) with her team in Rohde & Schwarz Malaysia. 3. What do you think would be the most challenging part of pursuing your MBA while being a FTWM? Balancing work and personal life, and prioritizing my time. 4. What advice would you give to mothers or even fathers who are thinking of pursuing their MBA? You are all super awesome! Let your passion and determination ignite and inspire your future generations as they begin their respective lifelong learning journeys. 5. Any Mother’s Day wishes you’d like to share with your family and friends? Happy Mother’s Day, and may your day be filled with lots of warm hugs and love.